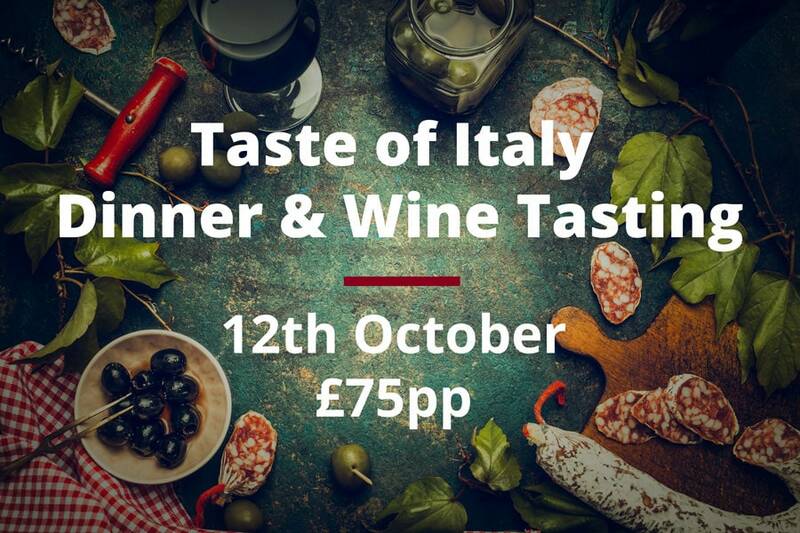 Join us for a delicious four course dinner with matching wines at The Surrey Wine Cellar. 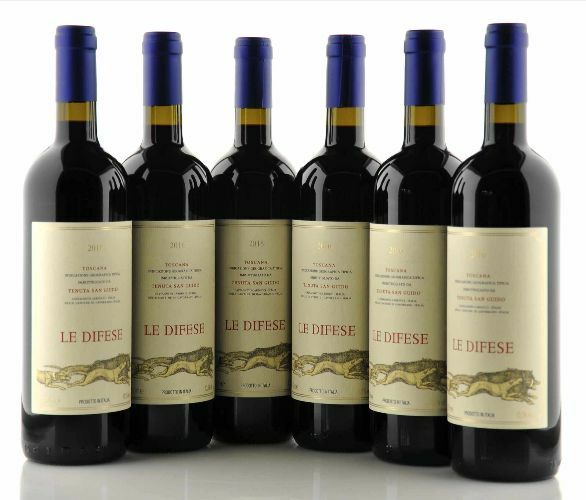 Special guest James Tamlyn will talk about his unique gastronomic walking holidays in the South of France, in conjunction with Kirker Holidays, as we enjoy a journey through the cuisine and wines of the region. 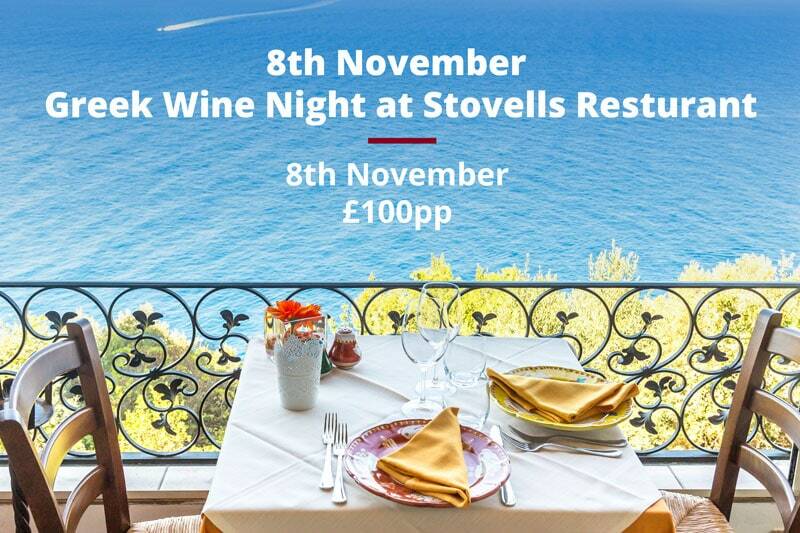 £65 per head to include a 4 course meal, a welcome aperitif, wine with each course. 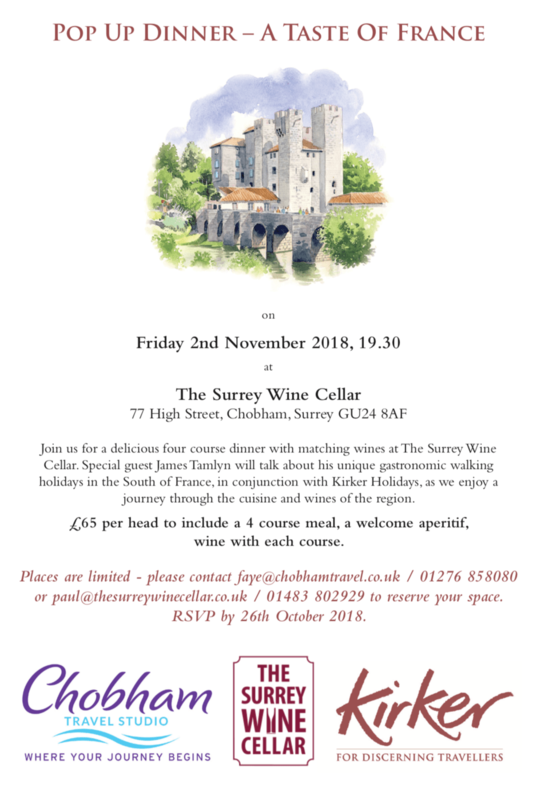 Places are limited – please contact faye@chobhamtravel.co.uk / 01276 858080 or paul@thesurreywinecellar.co.uk / 01483 802929 to reserve your space. RSVP by 26th October 2018.